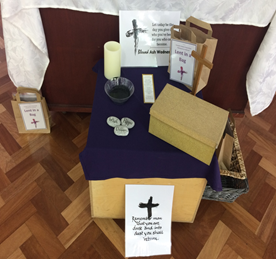 Our Liturgy planners prepared the environment beautifully for our Ash Wednesday on 6th March 2019. 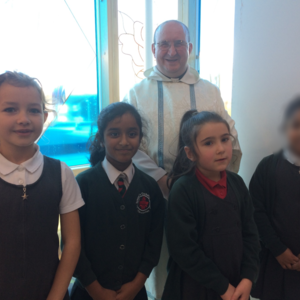 They were also amazing in their support with our St Joseph's day celebrations, helping with the spiritual environment. 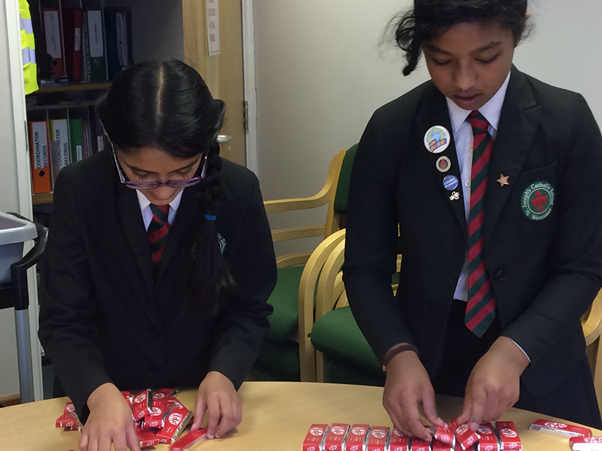 and delivering the customary Kit Kats to all staff and children! 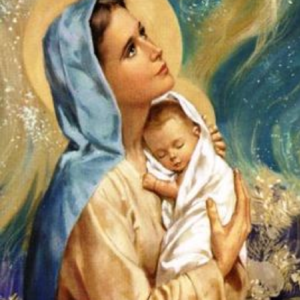 For those of you who joined us on Tuesday to celebrate St Joseph’s Day, you will have seen slight changes like including the bidding prayers on the powerpoint and giving out the powerpoint to our visiting congregation. These were suggested improvements made and we hope that they helped to improve our worship. The forms were available on Tuesday too and again thank you to those who completed them. Thank you to our Mini Vinnies for all of their hard work last week. 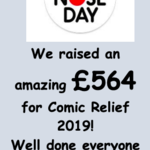 On Friday 8th March, they spoke to the school about their plans for Red Nose Day and the activities that have planned for this special week. It has been a great success and evidence of their dedication, commitment and leadership in living out their Catholic Mission - thankyou. 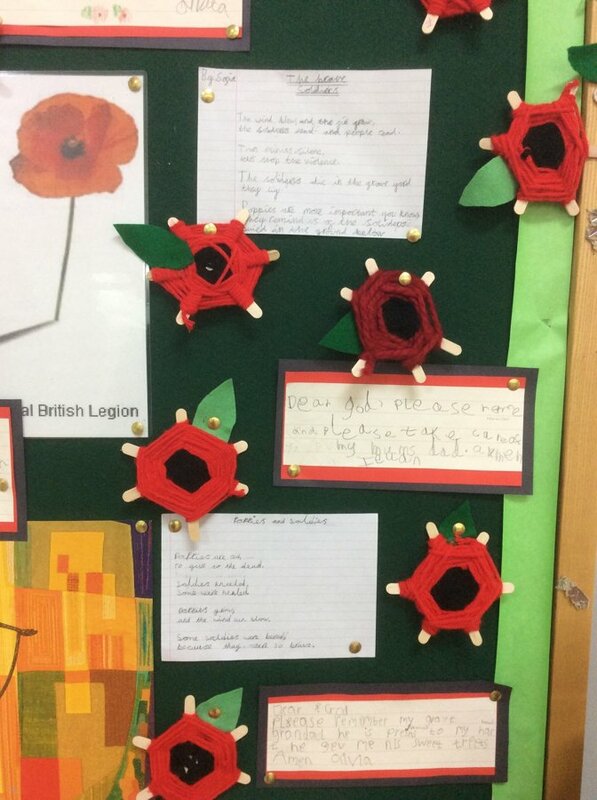 Thank you too, to Mrs Holland for supporting them in this. 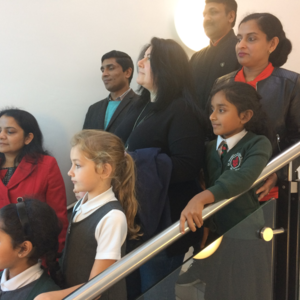 Last Friday was the culmination of the week with all children wearing red and bringing in their pound…as well as the cake sale too!! Thank you to all of you for your generosity and support. We look forward to sharing the amount we have raised with you in due course. 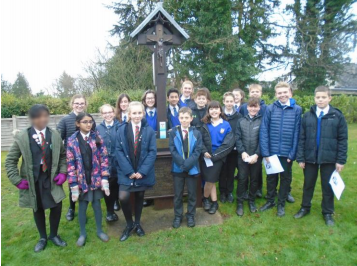 A group of our children attended a Prayer Leader training event at Blessed Edward on Tuesday 5th March morning was lovely. Our pupils were fantastic and worked really well in their groups with the other schools (and took the lead at times). 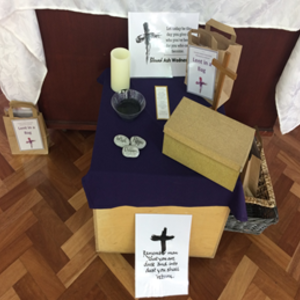 The main focus was on Lent and they looked at resources and thought about planning a collective worship for Lent. 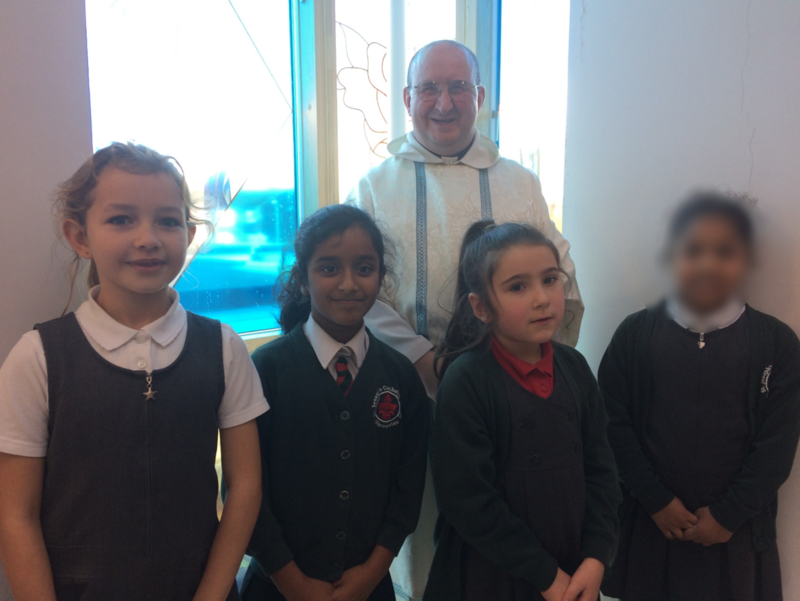 They will be a great support to our Re Support network and are going to help with the lent prayer club too. 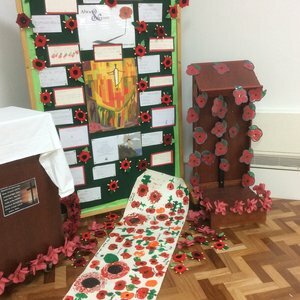 Thank you to Mrs Nickless for being with them and also to Mrs Hackley and Mrs Holland for their kind offer of transport. 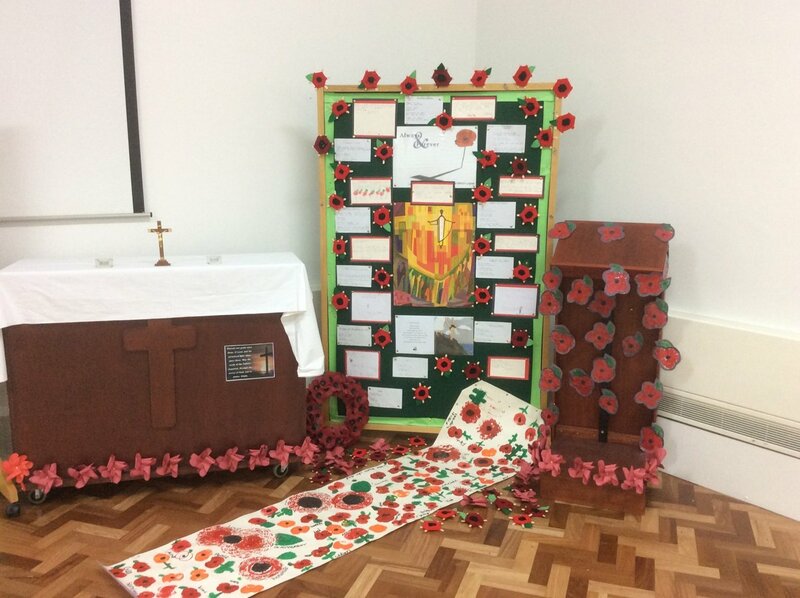 The whole school stood in silence to remember all who had suffered as a result of conflict, especially the service men and women who have died in the violence of war, each one remembered by and known to God. 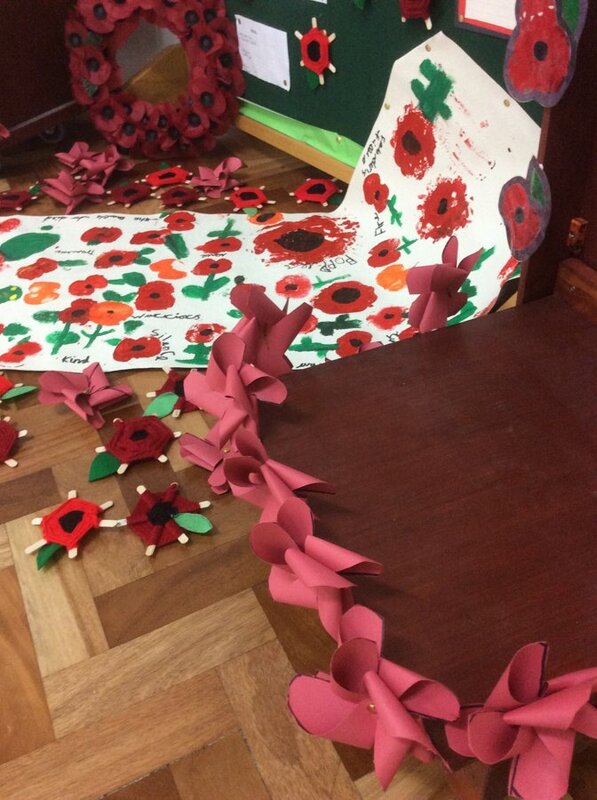 This was held on 11th September and all KS2 classes attended. 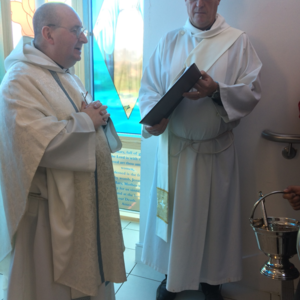 We gathered in the hall and Deacon Kevin brought the Blessed Sacrament to us. We also viewed a live web link of the Archbishop in his home chapel. It was a very special event and a wonderful opportunity for our children to be in the presence of Christ. 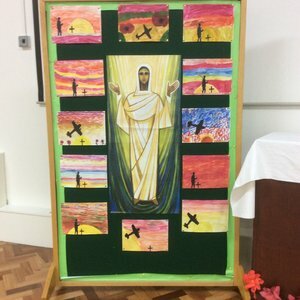 KS1 and KS2 have weekly collective worship sessions, planned and led by the teachers and pupils. If you would like to attend a collective worship session, please inform your child’s teacher and they can give you further details. Class Masses are held weekly. 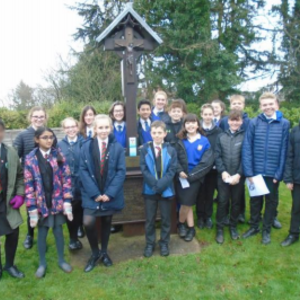 Please see the school newsletter for information on when your child’s Class Mass is being held. All are welcome to theses Masses. 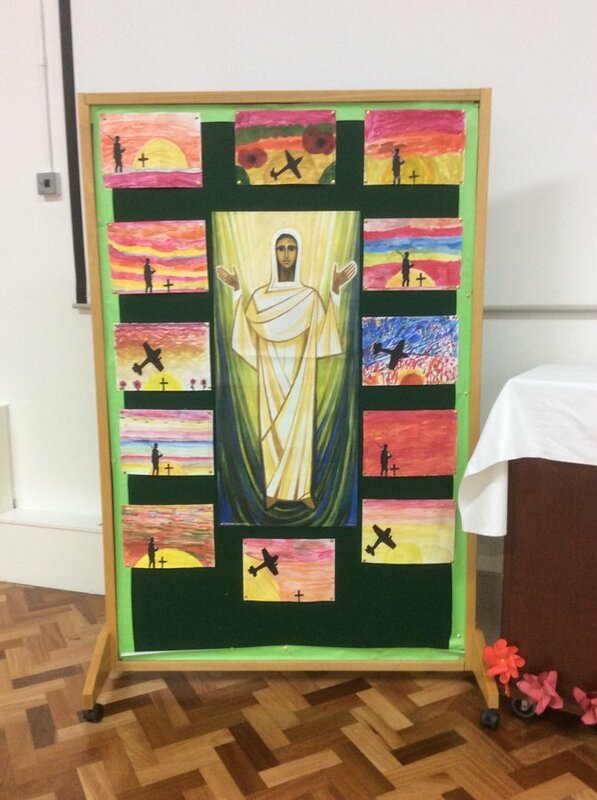 Mrs Bury revisits the Sunday Gospel message, to pupils, during her weekly Head’s Assembly and we conclude the week with our Praise Assembly, which is an opportunity for us to praise those who have made special achievements throughout the week. 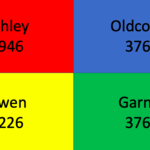 These assemblies are for pupils only, but half termly Golden Assemblies are open to one and all! 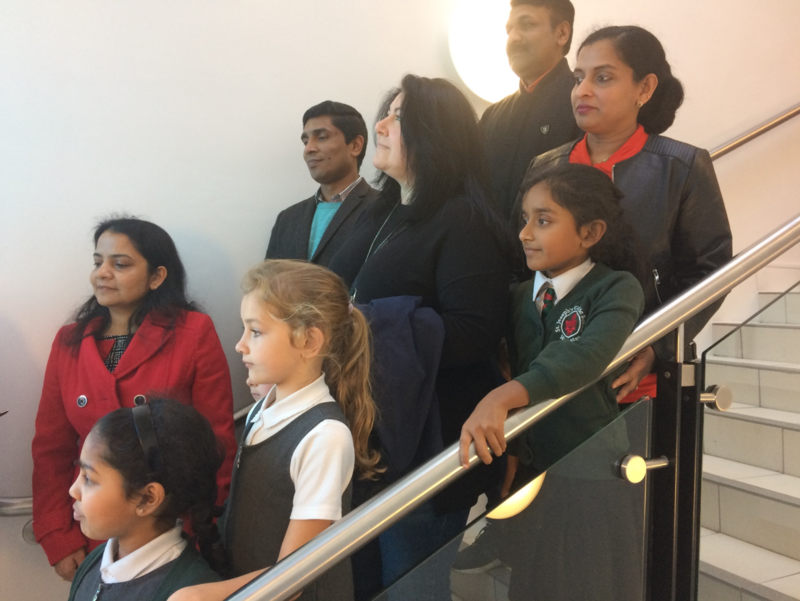 The RE Support Network also hold daily prayer in class. These prayer sessions are planned and reviewed by the St Joseph’s Workers and Liturgy Planners. Change and tend to the prayer table in their classroom. Lead prayer sessions in their class. 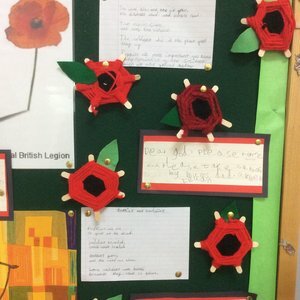 Help Mrs Jackson and Mrs Nickless with special prayer missions. 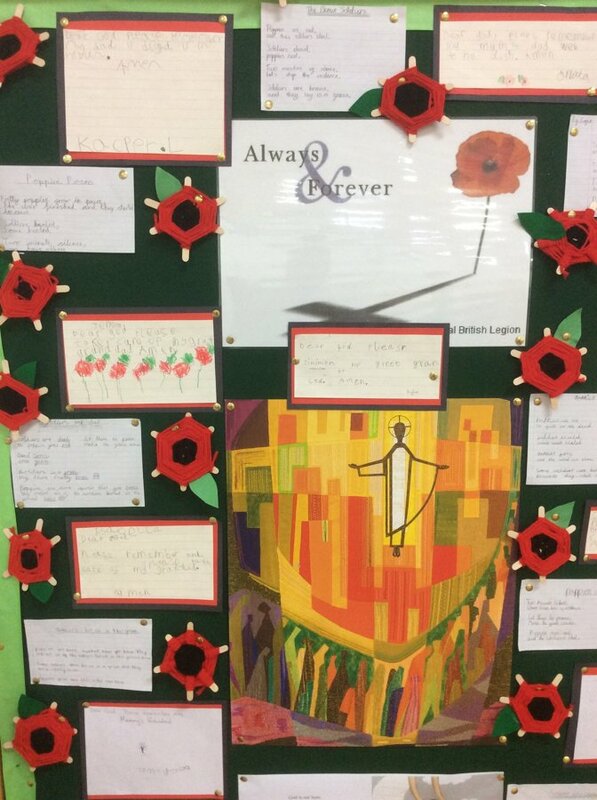 Change and tend to the prayer table in the lower KS2 corridor. 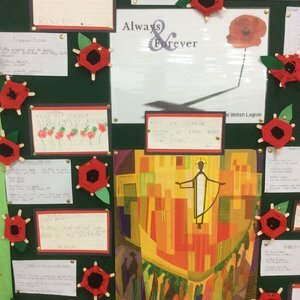 Help with the RE displays around school. 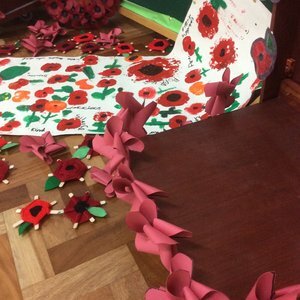 Prepare and organise special RE resources and letters for the school. 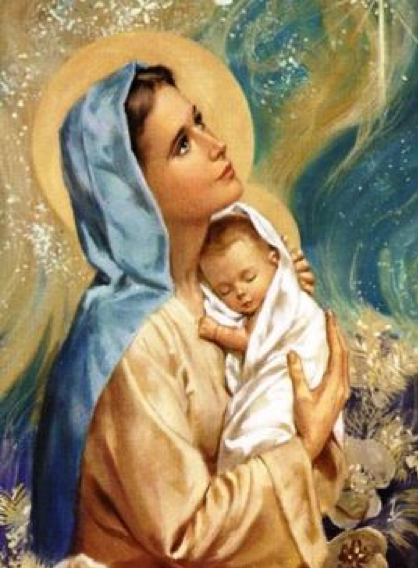 Tend to the Marian Garden. Be role models during Mass, RE lessons and prayer sessions. 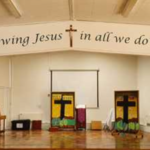 Attend meetings with Mrs Jackson, Mrs Nickless, the St Joseph’s workers and the Prayer Leaders. Plan and lead class worship daily. 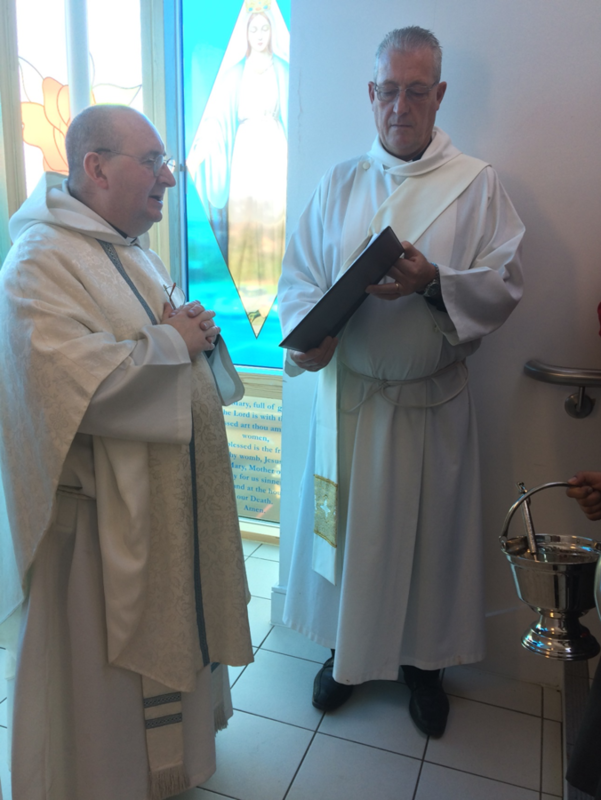 Help prepare and lead Mass. 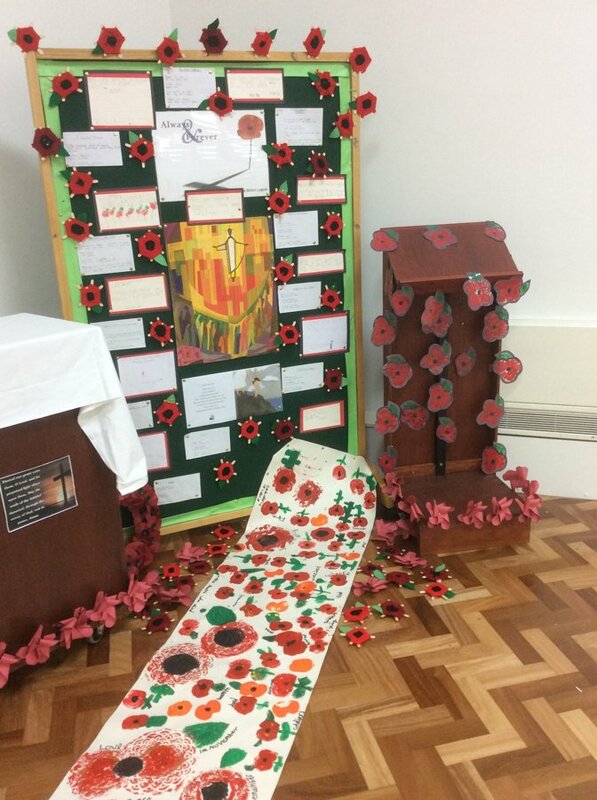 Change and tend to the prayer table in the Upper KS2 corridor. Be role models during Mass, RE lessons and prayer sessions; modelling good practise to other year groups. 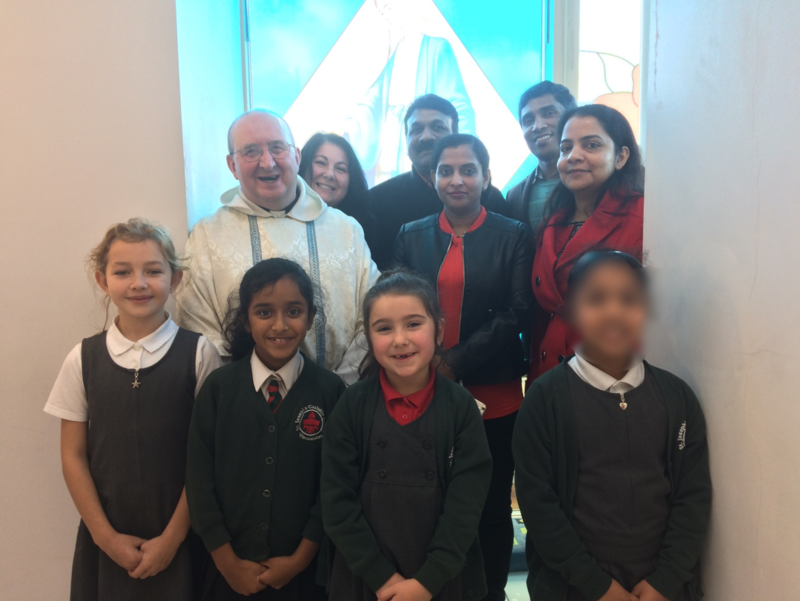 Help at and attend meetings with Mrs Jackson, Mrs Nickless, the St Joseph’s Workers and the Prayer Leaders. Worcester Community Trust Play Scheme – providing subsidised holiday clubs to families in need. St Joseph’s Parking Scheme with the Warndon Community Police – ensuring there is safe and considerate parking in and around our school site. 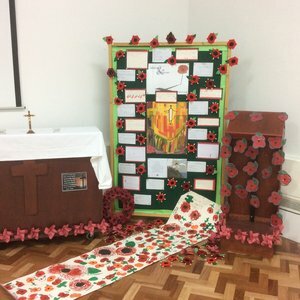 The Father Hudson ‘Talk to me Worcester’ project – encouraging the Warndon and greater Worcester communities to connect with their neighbours; encouraging a cohesive and supportive neighbourhood. 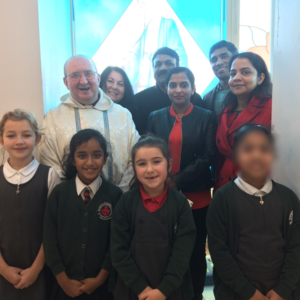 This window was blessed by Father Andrew Berry on 7th December 2018 after a whole school mass celebrating the Feast of the Immaculate Conception.